The main thing is, why don’t they just leave? They, the doomed inhabitants of a haunted house – somehow always entering when they should be exiting, going in when they should be coming out. Why don’t they just leave? What is keeping them inside? The answer in the best haunted house literature is, they don’t leave because they cannot. Something keeps them inside, some manifestation perhaps, or something psychological. Houses are not separated from the people who populate them; when someone takes on a house – buys it or rents it or agrees to inhabit it – they form a bond between self and architecture. Taking on a house is agreeing to care for and to associate with it, agreeing to be with it during vulnerable times of sleep and desperation. Houses are where people have to go when they are trying to hide. Inside them, we escape other horrors. They are our chosen shells. This makes it all the more terrifying when the houses turn on us. Psycho killers seem few and far between, and ghosts somewhat less than believable. Our houses are everywhere. An early, excellent, and sadly under-read entry in the haunted house genre, The Haunting of Hill House begins with the house itself. 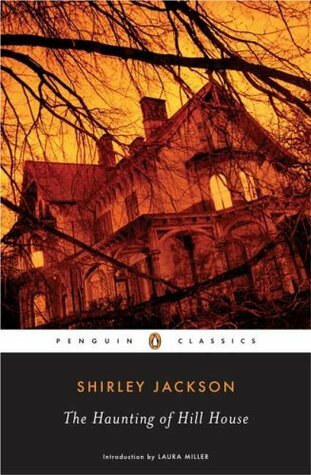 “Hill house, not sane,” reads the book’s second sentence, a sentence that is our context, as readers of this psychological supernatural haunted house book, for every moment of the next one hundred and eighty or so pages; forget that Hill House should be thought of as a beast, and the novel lacks both tension and resolution. Author Shirley Jackson doesn’t require her characters to investigate and discover the real identity or psychological problems of a ghostly manifestation in order to escape Hill House. The narrative does not progress with terrified inhabitants metaphorically yanking on a door handle, trying to move an unmovable door. Instead, The Haunting of Hill House is the story of a monster slowly swallowing its prey. Hill House’s one casualty, Eleanor, could never have escaped; she is fucked from the moment she steps into the monster’s mouth, even if she struggles all the way down its throat. In the book, a paranormal investigator named Dr. John Montague, who dresses himself up in PhDs in philosophy and anthropology to invoke the air of legitimacy, decides to investigate a notorious haunted house. To assist his investigation, he invites two women, Theodora and our complex protagonist, Eleanor, because they both experienced supernatural events earlier in their lives. Theodora showed some psychic aptitude with divination cards. When Eleanor was a little girl, a shower of stones rained for two days on her house; Eleanor’s mother blamed jealous neighbors, Dr. Montague blames a poltergeist. Heir to Hill House, Luke Sanderson, is also roped in to supervise. He is first described as a thief and a liar, and though Jackson doesn’t mention him stealing or lying, forgetting he does so would be as bad as forgetting Hill House is not sane. Jackson frequently tells us things about her characters and expects the reader to remember them without ever bringing them up again, but if you don’t remember them, events won’t take on their full significance. The first time writing appears suddenly on the wall, “HELP ELEANOR COME HOME,” just after Luke goes out and returns, wiping his hands on a handkerchief, it is important to remember Luke is a liar. Theodora’s possible telepathy isn’t mentioned after the first chapter, but when Eleanor thinks, “I wonder how long she is going to stay?” Theodora whispers the same question in Eleanor’s ear, without a break in the text save the empty space between two paragraphs. Jackson’s commitment to relying on the reader’s memory to unfold the many possible causes of the frightening supernatural manifestations which appear in her novel clashes with the satisfying over-explanation of the twist ending horror movie haunted houses that have become satisfying in the decades following Dario Argento. The Others, a fantastic haunted house movie, even reuses the twist from The Sixth Sense, and remains a startling. In Hill House, no questions are answered with a creepy story; no solution or cure for the haunting appears. Some houses are born bad. Jackson never ties her narrative in a bow, no specific answer to the reasons and causes for the supernatural manifestations are given; Jackson takes pains to make sure many possible interpretations exist. Hill House, built by Hugh Crain, could possibly be haunted by Crain and the ghosts of his three wives, all of whom suffered untimely ends, one of whom died in the driveway just as Eleanor later does. Hill House could’ve been bad from the moment it was built, haunting Crain and his wives as it haunted Dr. Montague and his assembled group. The house could’ve then eaten Eleanor. The other possibility, of course, is that everything is happening inside Eleanor’s head. Each reader can chose their own interpretation of the text. I chose to believe the house infected Eleanor. You don’t have to follow my lead. I might be deranged. For example, as I sat down to write this essay about haunted houses, my apartment in the Echo Park neighborhood of Los Angeles felt like a giant sauna. I opened the door to let in a bit of extra air, poured myself a glass of beer, stacked my reference books with the largest at the bottom and the smallest at the top, and tried to write the first sentence. From somewhere to my left, I heard a loud and bone-chilling creek. I froze. My hands on the keyboard trembled slightly. I turned my head slowly to the left, and saw that the door had swung shut on its own. It was just the door, I thought, just the door. Only then could I relax and write. 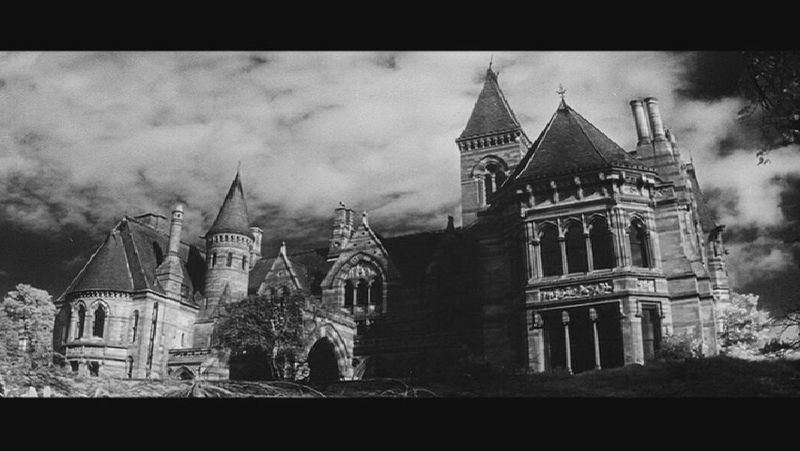 The Haunting of Hill House should not have anything left in it to attract readers, like a looted store because Jackson originated and/or popularized dozens of widely used horror tropes: harbingers, paintings with moving eyes, tragic backstories, people separated by unseen forces during moments of great terror. Instead, the book begs for rereading because it refuses to answer our questions. Why don’t they just leave? They are trapped psychologically, in a house born bad.